THE Bundaberg region has, through the decades, battled high levels of depression, domestic violence and issues such as problem gambling. Every time these issues make headlines, there are calls for change. But are we doing enough to bring change or are we failing to move forward from our greatest grievances? While every city has its downfalls, there are many tragic circumstances in Bundaberg that are ongoing. They are circumstances we have the power to avoid. And where there is knowledge, there is power. Today, we back at a historic case and how it shook the region, causing discussions around depression. Tomorrow, we'll share opinions from experts and leaders about what needs to be done to create a road map to bring real, tangible change and help our region become a happier, healthier place once and for all. Please note this article talks about suicide. If you are feeling depressed, please call Lifeline on 13 11 14 or Beyondblue on 1300 224 636. Young people aged 12-25 can get in touch with Headspace, Bundaberg on 4152 3931. It was one of the most tragic moments in Bundaberg's recent history. A council worker was cycling along Clayton Rd, about 4km from the city, when he spotted a car under the rail bridge. Thinking someone may have needed help, he investigated. But what he discovered was a heartbreaking tragedy. "I saw the hose in the passenger side rear window... I opened the door and turned the motor off," he told the NewsMail in 1988. He didn't touch the three people inside the car. He knew immediately they were dead. "I could see it was two kids and a woman... what a bloody waste," he said. A motorist had also reported seeing the car. The event that unfolded sparked grief in the community and a call from support groups to keep an eye out for people who were struggling. 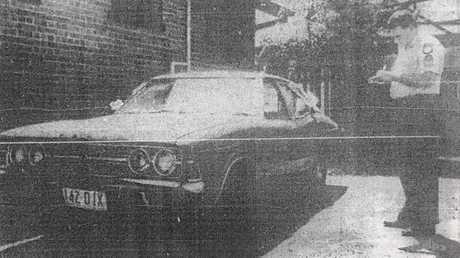 The suspected murder-suicide made the NewsMail's front page on Friday, March 11, 1988, the day after the family was found. The mother, revealed as 34-year-old Riedy St resident Delphine Edith Hurst, was found with her two children, 14-year-old Charlene Ann McGarry and 13-year-old Ronald McGarry. Ms Hurst was "crumpled" over the steering wheel in the driver's seat while Charlene was leaned up against the passenger side door. Ronald was found lying on the back seat. Senior Sergeant Col Morrison said the front passenger-side window had been wound down. He said it was "strange" but put it down to the girl winding it down before she died. Tragically, it would not have been enough to negate the toxic fumes inside the vehicle. A government medical officer confirmed the three family members had been alive immediately prior to the tragedy which unfolded in the sedan. Testing was carried out to see whether or not the children were drugged. Police at the time said they believed it unlikely that the children would have participated willingly. Haunting photos from outside the family home showed Charlene and Ronald's bicycles still sitting in the front yard after the incident. A Kepnock State High School teacher who had taught Charlene described her as a "pleasant girl who had always tried hard in her studies". She had, however, been absent for a few days in the lead-up to the tragedy. The family had been the subject of an extensive police search after Ms Hurst's husband had reported them missing at 1.30am. A letter left at their family home, believed to be written by Ms Hurst, apologised for not being able to cope. The couple had married just a month before, after being together for four years while living in Hervey Bay and Bundaberg. The couple had run a business in Hervey Bay, with a former business contact describing Ms Hurst as a "pleasant, ordinary person who hardly ever got flustered". "I'm amazed she would do such a thing," she told the paper. The discovery of the three bodies shocked police and rocked the community. "No death is easy for us, even those in the force for many years," Snr Sgt Morrison said in 1988. "Especially where children are involved... it doesn't matter how many previous cases you've seen. "Whether they went willingly with their mother is something we don't know, we may never, ever know..."
An inquest later revealed that all three had consumed sleeping tablets prior to the incident. 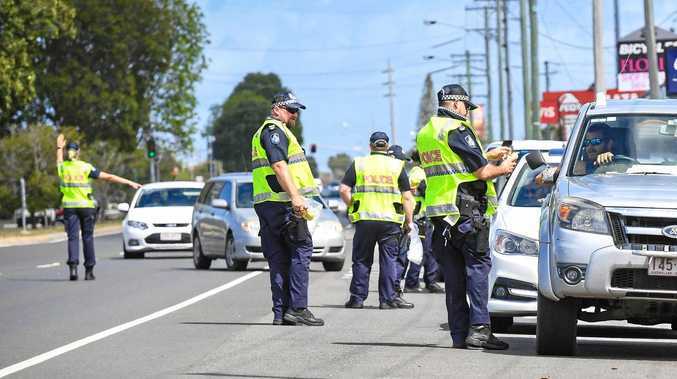 A Bundaberg ambulance spokesman had admitted officers had cried alongside family and they were "not ashamed" to say so. The tragedy sparked calls from then Bundaberg Lifeline director Rev Rob Evans to be vigilant for signs of depression among community members. He said people could appear happy on the surface while deep down, they were struggling. "Suicide is difficult to understand and is difficult to pick up," he said. "Even Lifeline professionals have trouble sifting through information that will indicate a potential suicide." He urged anyone who suspected depression in others to talk to the person and offer them help. "We all have the potential to talk about suicide and in some cases we must take direct action to help get to people considering such a move," he said. "I urge everyone to become a listener and to take each other seriously. People say 'it won't happen to me' but of course, it does." In the weeks after the event, then Member for Bundaberg Clem Campbell spoke about the need to support services to help the vulnerable in the community. "If people had extra services or groups or even someone to talk to, maybe this would not have happened," he said at the time. "Our services in Bundaberg are obviously overworked. "The problem is a serious one in Bundaberg." WHILE the tragic story is a haunting reminder of the toll depression takes on the region, it's also part of a pandemic we still haven't shaken. 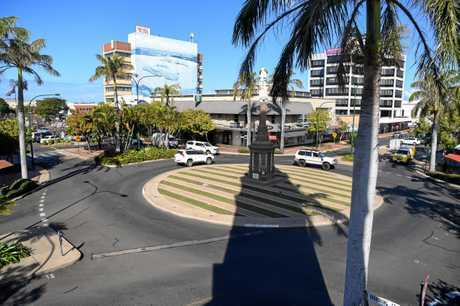 In April last year, more than 30 years after depression became a major talking point in the region, the NewsMail revealed that Bundaberg's suicide rate sits at 52 per cent higher than the national average. Even more shocking was the Burnett. The electorate had 93 per cent more suicides than Australia as a whole. Between 2009 and 2012, 98 Bundaberg people took their own lives. 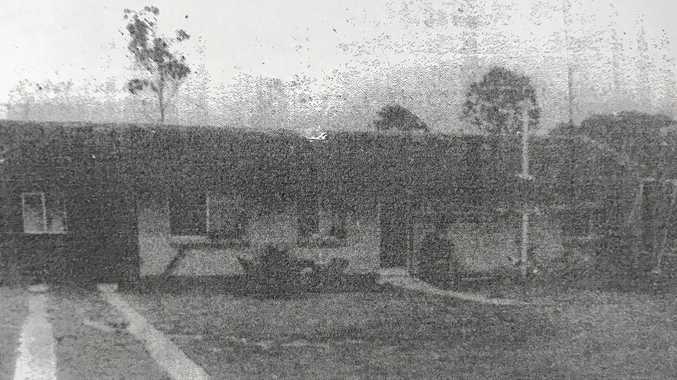 Echoing the tragic circumstances blamed for causing depression in Bundaberg in the 1980s, Professor John Glover attributed the high numbers to a lack of job opportunities and access to mental health services. But Australian Institute for Suicide Research and Prevention principal research fellow Kairi Kolves said there was more to take into account when studying regional suicide rates. The researcher said rural areas had higher risks for several reasons, including the many factors the farming community was exposed to, a higher level of migrants and greater levels of deprivation. "With rural areas, it means you have less access to services and longer distances to travel - so help-seeking is made harder," Dr Kolves said. Member for Bundaberg David Batt, a former police officer, said depression in the region was a multi-faceted issue. "Here in Bundaberg we have many local community groups and organisations working tirelessly in the mental health, substance abuse and domestic violence fields," he said. "In my previous role as a police officer, I have seen first-hand the effects of all of these issues and I believe there is not just one solution to tackle these problems. "It's extremely important to continue conversations in order to lower harsh stigmas and raise awareness." Mr Batt encouraged anyone feeling depressed to reach out to local services and for others to look out for those who were feeling down. "If someone is feeling down or is struggling with something in their life, I will continue to encourage them to seek guidance and support from our fantastic local services, it only takes a few seconds to ask 'R U OK? '," he said.